LeMans II is the only corner unit solution that combines very high space utilisation with outstanding access. No wonder, because LeMans trays swing right out in front of the cabinet. 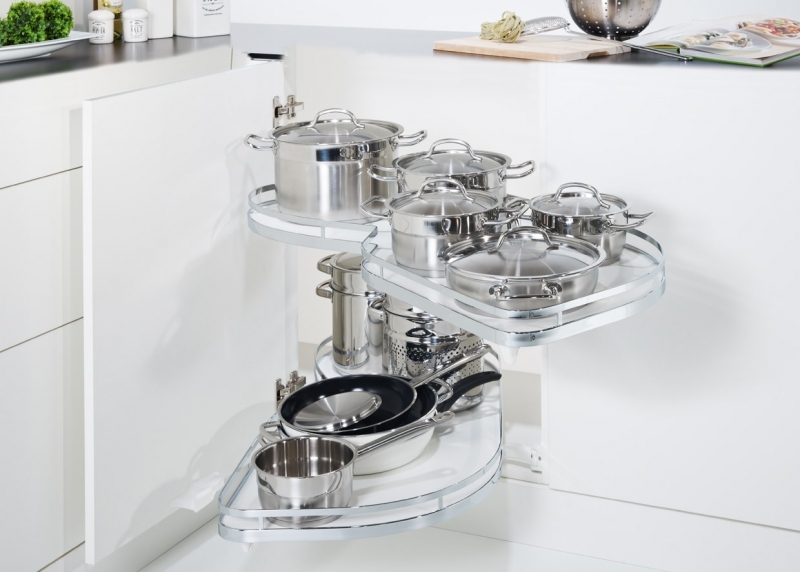 The trays move independently of each other bringing the entire cabinet contents into easy reach. 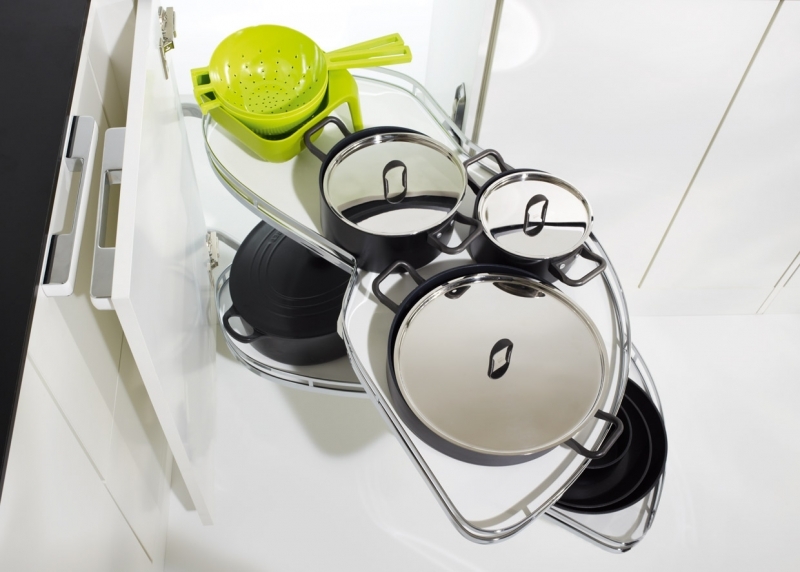 You can store a lot of pots and pans – and each one is always in easy reach. 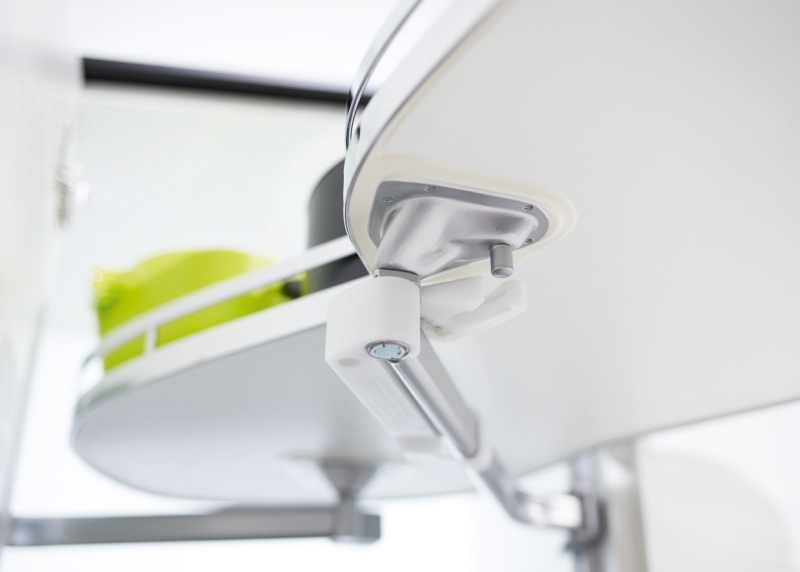 Each individual shelf can now easily bear a weight of 25 kilograms. Consequently, the shelves are practically impossible to overload. 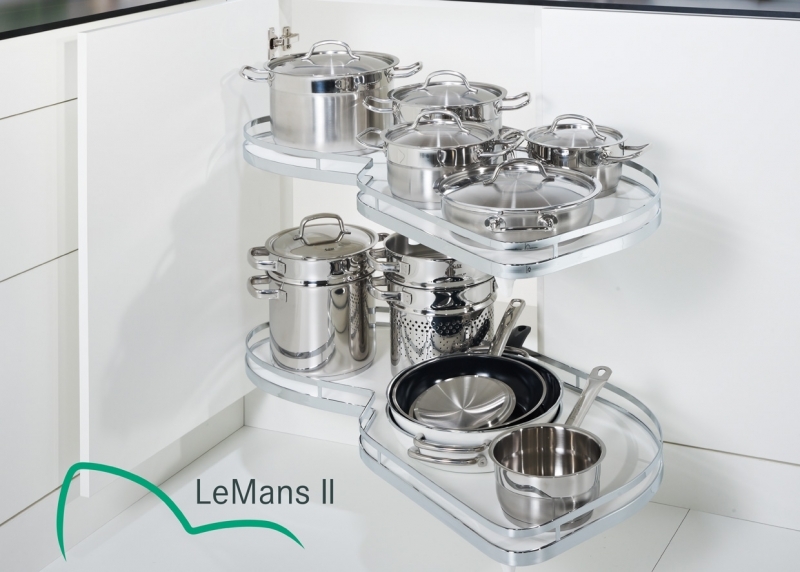 With an overall capacity of 50 kg and its perfect convenience, the LeMans ll could indeed be described as the perfect corner unit.